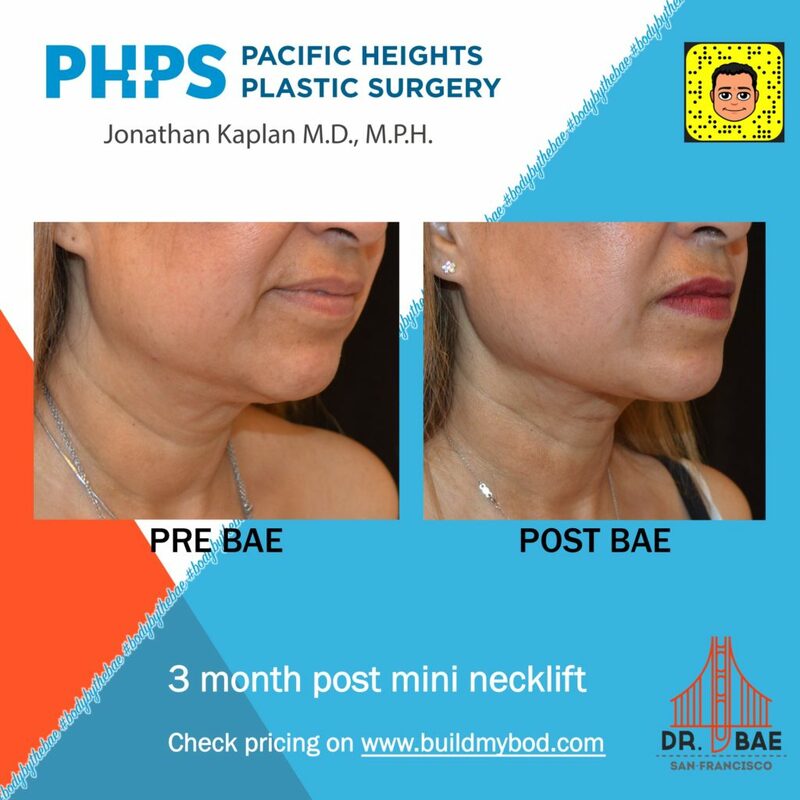 Throughout his years of experience as a San Francisco plastic surgeon, Dr. Kaplan of Pacific Heights Plastic Surgery, has discovered that Bay Area patients have many different problem areas that bother them. And one of those areas is the neck. 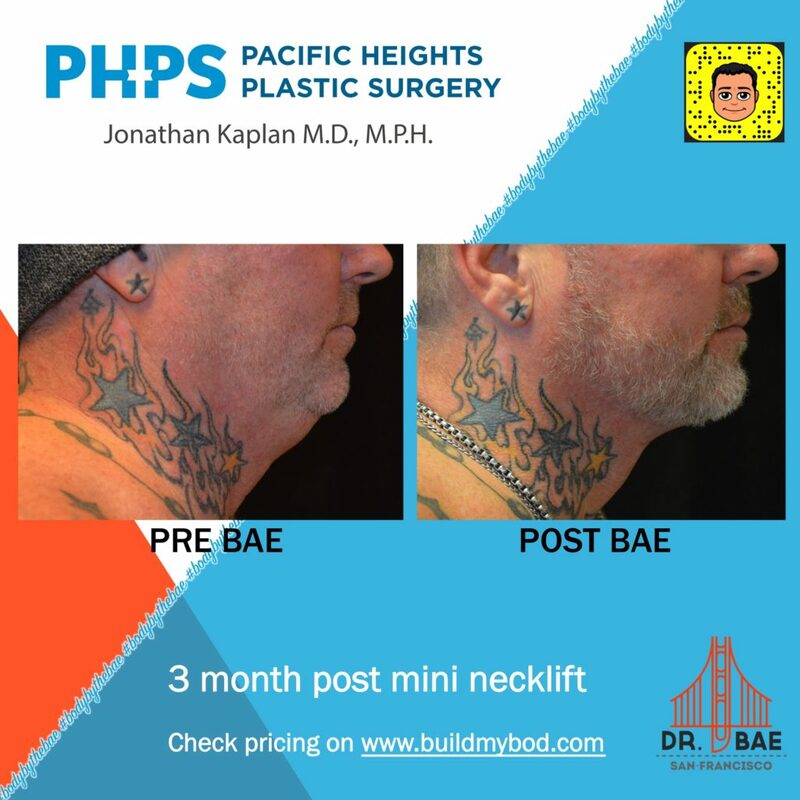 In fact, every year, Dr. Kaplan consults with many Northern California men and women who feel that their neck has unwanted fat or skin that makes them appear heavier than they actually are. Other potential patients report that having a double chin, skin hanging from their neck, or necks that are heavily wrinkled makes them feel as though they look older than they are, or feel inside. To resolve these complaints, Dr. Kaplan suggests a plastic surgery procedure that he developed, known as a SIMI™ neck lift. What is a SIMI™ Neck Lift? A neck lift is a plastic surgery procedure that some San Francisco residents choose in order to eliminate a double chin, heavy looking, or wrinkled necks. In the past, the only way to perform this plastic surgery procedure was to make an incision underneath the chin and behind the ears. But Dr. Kaplan developed the SIMI™ neck lift which stands for Single Incision Minimally Invasive neck lift. That means Dr. Kaplan can avoid the more unattractive and potentially painful incisions behind the ears. The only incision required is in the crux of the neck. In other words, he has reduced the number of incisions from three to one. Through one incision, Dr. Kaplan can redrape the skin to eliminate the hanging misplaced skin in the middle of the neck. Through this same incision, he performs liposuction to reduce jowls and produce a more streamlined jawline. By tightening the neck muscle, the platysma, through this single incision, Dr. Kaplan can produce a longer lasting result. With his technical expertise and artistic skill, the one neck incision is well-hidden in the shadow of the neck, avoiding the telltale signs of facial and neck surgery. Once your incisions are made Dr. Kaplan gets to work, eliminating sagging jowls, loosened skin, the appearance of a “turkey wattle,” and excess fat and neck bands. Sometimes, depending on a patient’s unique treatment plan, liposuction may also be performed. And some San Francisco patients who are showing other signs of aging on their face choose to combine a neck lift with other facial procedures such as a facelift, brow lift, or blepharoplasty to maximize the amount of work – and results – they get during one surgical setting. We all know what a turkey wattle looks like on the actual bird, but no San Francisco resident wants one on his or her neck! Unfortunately, this condition is often hereditary and is caused by weakened or loosened neck muscles. To resolve this specific issue, Dr. Kaplan places permanent stitches in your neck muscle tissue, thus preventing your neck muscle from loosening up again and creating this undesirable appearance. If you’ve recently lost a significant amount of weight due to a regimented diet or exercise routine, or a life-changing weight loss surgery, congratulations! Dr. Kaplan understands that no matter how you got to your goal weight, it was a challenge to get there and took a lot of self-control and determination. Unfortunately, no matter how much you diet or exercise, there are some areas where you just can’t naturally eliminate the weight. And the neck is one of these specific areas. If you have excess fat in your neck, Dr. Kaplan can help by performing liposuction. The result is a sleeker neck contour, one that matches your new, slimmer self. 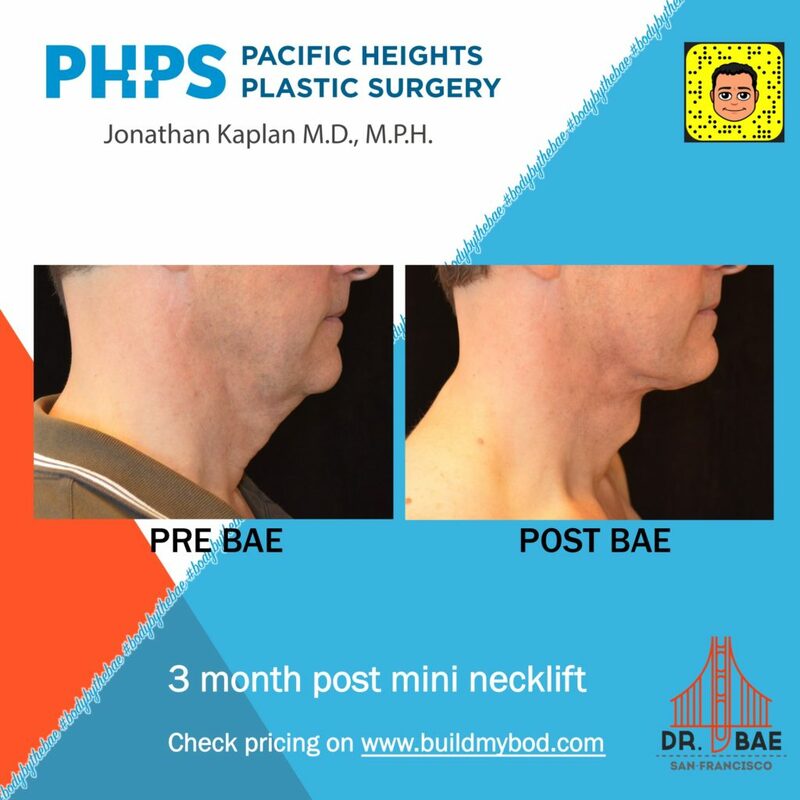 Sometimes, San Francisco patients opt for a neck lift because they have an excessive amount of neck skin that makes them appear as though they are heavier than they really are. By performing a surgical procedure referred to as “cervicoplasty,” Dr. Kaplan can excise this excess neck skin and give you a slimmer looking neck. They are in good overall health and pass a pre-op appointment from their general practitioner before their neck lift surgery takes place. They have listened carefully to Dr. Kaplan explain the neck lift procedure and possible results, and have communicated to him that they have realistic expectations for their surgery. They are non-smokers because smoking or using smokeless tobacco products can complicate both the neck lift procedure and recovery time. They are in good psychological health. 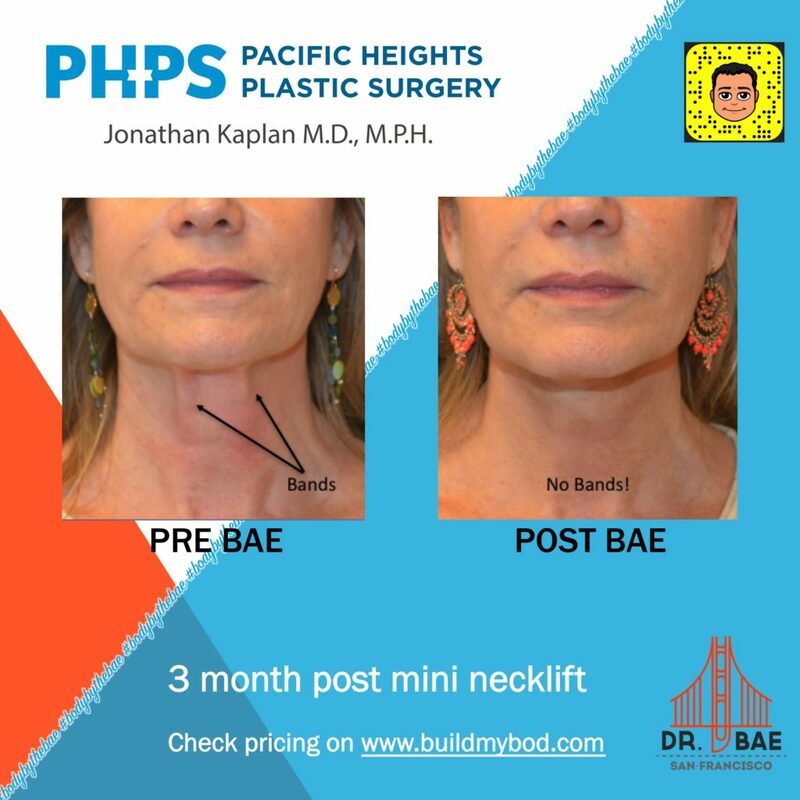 If you’re interested in a neck lift, the best thing you can do is call Pacific Heights Plastic Surgery in San Francisco at (415) 923-3005 to schedule a consultation with Dr. Kaplan himself. During this appointment, he’ll evaluate your neck, determine if you are a candidate for surgery and, if you are, prepare and explain a personalized treatment plan for you. Click here, to check pricing on a SIMI™ neck lift.